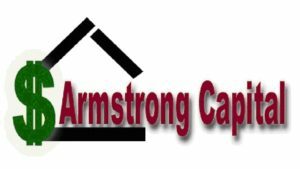 The current seller financed notes business is unlike anything we have seen since Armstrong Capital started back in 1991. In the past we have seen two types of real estate cycles either 1) higher interest rates and a falling real estate values or 2) lower interest rates and rising real estate values. What we are seeing now are low interest rates and a falling real estate values. What do these different cycles mean and how do they affect the note business? With high interest rates and falling real estate values investors are tighter with their money instituting firm requirements and processes to protect their money. Higher yields, lower pay prices, lower Investment to Value levels, etc. At the same time the volume of seller financed notes goes way up because fewer people can qualify for traditional loans from the conventional lenders to purchase property because they can’t fit into the proverbial box that the lenders create. When fewer people can qualify for conventional financing, the number of seller financed notes being created goes up. When there are more notes to go after note brokers and note buyers typically do very well. In times like this we have worked on notes secured mostly by residential and commercial property types. When we have seen lower interest rates and a rising real estate market we have typically seen lots of investors ready to put their money into notes yet comparatively fewer notes being created because most people can qualify for traditional financing when buying a property. Our statistics show (through Data Quick, Fidelity National Information Services and Zillow.com) that a couple of years ago 1 out of 400 properties sold were being sold with seller financing. There was definitely not as much of a need for seller financing when everyone can qualify for a loan. With a lower volume of notes to go after we have focused on notes secured by properties that were a bit tougher for people to qualify for such as Mobile homes with land, commercial and land property types. In today real estate market we are seeing yet another cycle and this time it’s a new one (for me at least), lower interest rates and falling real estate values. What we are seeing now in this economy is that to qualify for a loan to purchase a property, not only does a person have to fit in the conventional financing box, that box has shrunk to the point that now that have to fit into a sugar cube! On the one hand it is good for the note business because many more notes are being created. How many more? Our statistics show that approximately 1 out of 50 properties are now being sold with some form of seller financing. That is an increase of over 8 times from just a few years ago. A tremendous amount of seller financed notes are out there and it is only going to increase. On the other hand because of the state of the current economy with unemployment rising, record default levels, foreclosures rising, Real Estate Owned rising, property values declining and individual credit scores going lower there are fewer investors interested in buying notes at this time. Of the true end note buyers that remain they can basically cherry pick the notes they want to buy. The majority of our business over the last few months has us focusing on notes secured by properties that can hold their value a little better such as commercial properties as well as trying to locate notes that are of better than average quality with good sized down payments, maybe a little more seasoning and payor’s with credit scores above 650. Not an easy task but definitely doable. 1) Don’t stop your marketing efforts. You may have to tweak your marketing to make it more efficient but use your most efficient marketing methods that have worked for you in the past and concentrate on micro-testing them even more to get a better response. 3) Test new marketing ideas. With this tough economic time try things that are out of the ordinary for you. Try to find some creative marketing strategies that cost nothing more than your time. The internet can be your best friend when it comes to low or no cost marketing. Also, do not forget about presentations to realtors, building up your referral network and of course direct contact. Funny story, I was taking a taxi to an event I was speaking at in Phoenix AZ a couple of months ago and was talking to the taxi cab driver explaining to him what I do. Long story short, he had just sold a small piece of land in Bullhead City, AZ and carried back the note which I purchased from him 6 weeks later. The point being to always be marketing, you never know where your next transaction might come from. You may have noticed that all of my survival tips have to do with marketing. Simply put, there are no tricks or secrets, no magic formula or supernatural phenomenon to get transactions to flow across your desk. Never stop marketing. The more you analyze your marketing efforts the more refined and efficient they will become and your business will continue to survive, if not thrive, even in a difficult market like we are experiencing right now. TWITA!